A new register of citizens excludes people who cannot prove they came to Assam state before 1971. India has published a list which effectively strips about four million people in the north-eastern state of Assam of their citizenship. Millions of people fled to neighbouring India after Bangladesh declared itself an independent country from Pakistan on 26 March 1971, sparking a bitter war. Many of the refugees settled in Assam. Under the Assam Accord, an agreement signed by then PM Rajiv Gandhi in 1985, all those who cannot prove that they came to the north-eastern state before 24 March 1971 will be deleted from electoral rolls and expelled as they are not considered legitimate citizens. More than 32 million people submitted documents to the NRC to prove they were citizens, but four million of them have been excluded from the published list. Many Bengalis – a linguistic minority in Assam – are worried they will be deported en masse. Hasitun Nissa, who spoke to the BBC’s Joe Miller days before the list was published, said she had never known a home outside the state’s floodplains. It is where the 47-year-old schoolteacher spent her childhood, where she studied, where she got married and where she had her four children. She said her family arrived in India before 1971 but she expected to be stripped of her Indian citizenship and feared her land rights, voting rights and freedom would be in peril. 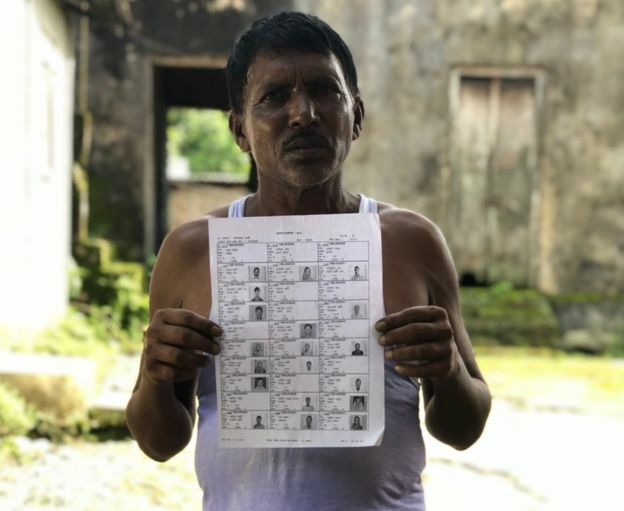 Activists say the NRC is now being used as a pretext for a two-pronged attack – by Hindu nationalists and Assamese hardliners – on the state’s Bengali community, a large portion of whom are Muslims. Like Hasitun, many Bengalis live in the wetlands dotted along the Bramaputra river, moving around when water levels rise. Their paperwork, if it exists, is often inaccurate. Officials claim illegal Bangladeshis are enmeshed in the Bengali population, often hiding in plain sight with forged papers – and a thorough examination of all documents is the only way to find them. But Bengali campaigner Nazrul Ali Ahmed is adamant that the NRC is serving another agenda entirely. “It is nothing but a conspiracy to commit atrocities,” he told the BBC. Such alarming comparisons are dismissed by Prime Minister Narendra Modi’s government, which emphasises that the NRC is an apolitical task, overseen by the country’s secular Supreme Court. What next for the ‘stateless’? The latest move to make millions of people stateless overnight has sparked fears of violence in what is already a tinderbox state. Narendra Modi’s Hindu nationalist Bharatiya Janata Party (BJP), which rules the state, has insisted in the past that illegal Muslim immigrants will be deported. But neighbouring Bangladesh will definitely not accede to such a request. 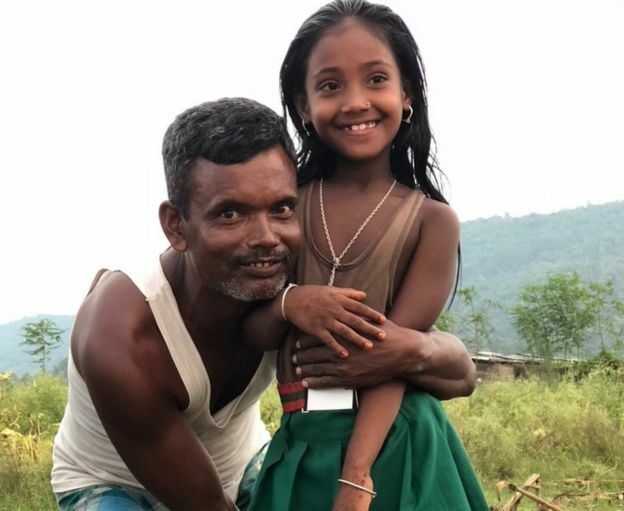 Chances are India will end up creating the newest cohort of stateless people, raising the spectre of a homegrown crisis that will echo the Rohingya people who fled Myanmar for Bangladesh. After human rights organisations began to express concern, the civil servant in charge of the NRC, Prateek Hajela, released a statement stressing that the law required him to make “no differentiation on the basis of religion or language” in determining citizenship. But correspondents say the prime minister has never been shy of expressing his preference for Hindu Bangladeshi migrants, whom he says should be embraced by India. Other “infiltrators”, Mr Modi told a crowd in 2014, would be deported. His Bharatiya Janata Party (BJP) is considering a bill that would enshrine the rights of Hindu migrants in law. Indeed, a promotional song posted on Facebook by the NRC itself does little to calm the nerves of those worried about a Hindu nationalist witch hunt. Will there definitely be deportations? Siddhartha Bhattacharya, Assam’s law minister and a member of the BJP, is in no doubt about the fate of those who have been rejected. That, Mr Bhattacharya clarified, would mean expulsion from India. At present, correspondents say, that seems little more than a threat aimed at whipping up Hindu support for the BJP ahead of elections. No deportation procedures have been put in place, and Bangladesh, already burdened by the Rohingya crisis, has shown no sign of being open to accepting a raft of new refugees. Nonetheless, campaigners like Samujjal Bhattacharyya say something must be done. His organisation, the All Assam Students’ Union, has been agitating for the expulsion of illegal Bangladeshis – regardless of their religion – for decades. If deportations don’t happen, he says, “the illegal foreigner will intrude upon the corridor of power. We are not prepared to be second-class citizens”. Hasitun Nissa takes such rhetoric seriously.